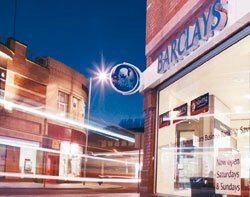 IT will enable UK banks to prosper despite the global credit crunch and toughening regulatory climate, according to a new report on world retail banking. The report, by consultancy Capgemini, financial services company ING and European industry association EFMA, said new technologies had transformed banking information systems into enablers of new services and processes. "For example, new technologies make it possible to separate distribution and production systems, which has enabled new business models like the 'white label' bank, such as Virgin Money or Sainsbury's Bank, giving banks the benefit of delivering a product without the cost of the channel and distribution," said Paul Pullinger, head of sales banking at Capgemini. The report said banks were being supported by their leading position in technology-enabled remote channels, such as internet banking. "There is a correlation between business growth and properly integrated multi-channel customer service, as shown by Dutch bank ING, which exceeded the average market growth between 2004 and 2006 by 40%," said Pullinger. He said the bank's strategy was aimed at enabling the same level and quality of service across all channels to encourage uptake of the lower-cost technology-enabled ones. Another important shift in how banks were using technology was being enabled by common systems in which customer information is shared across multiple product systems in banking organisations to enable cross-selling through better understanding of customer needs, said Pullinger. "Newer technologies are also enabling banks to improve customer service through things like automated anti-money laundering and anti-fraud checking that have been enabled by real-time assessments of what is happening in the bank." Other technology support for banking mentioned by the report included the ease with which new software packages built in an open architecture can be rolled out, and the ability it gives new entrants to set up systems quickly, potentially leap-frogging established players.